BAKERSFIELD, Calif. — According to the California Department of Social Services, allegations of abuse at a Northwest Bakersfield daycare are now being investigated by the state. The Kern County Sheriff's Department arrested Shannon Perkins on December 28 after investigating her for child abuse in Northwest Bakersfield. A man called authorities to report he had home surveillance videos that showed his live-in ex-girlfriend, Shannon Perkins, who runs a licensed daycare out of the home on 6800 block of Randall Street, was abusing a child on December 27, according to court documents. The man said he watched the in-home video surveillance on his cell phone. Deputies said a video showed Perkins picked up a child, possibly under one year old, and throw the child to the ground. The child started crying and then she picked him up again and slammed him on the sofa and shook him before wrapping him in a towel, according to documents. A second video showed Perkins arguing with her ex-boyfriend, at which time she picked up the child, put him on the sofa and changed the baby's diaper. 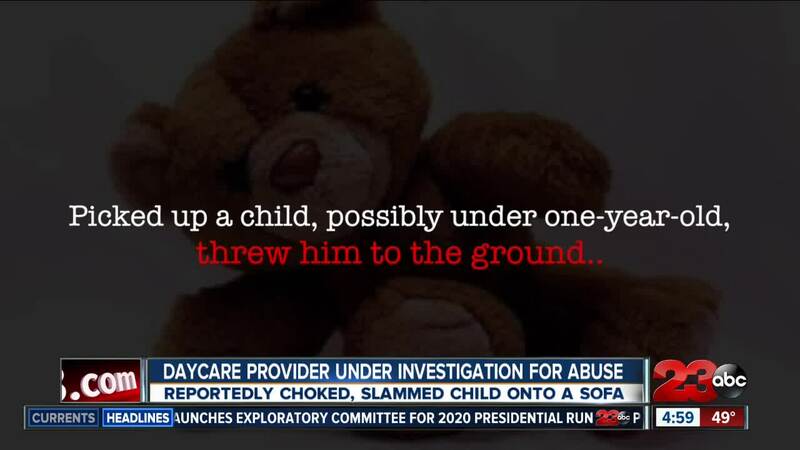 Then, the video showed she strangled the child for two seconds, and the child can be heard gasping for air, according to authorities. Perkins also picked him up and smacked him in the back of the head three times, according to documents. The Department said that they visited the facility yesterday and found no children in care.